For a lot of programs, a four-loss season represents a very respectable showing. Last year, four teams in the final AP top 25 poll had four losses; the University of Washington lost six games. A previous Huskies football squad lost four games—in the span of a decade. 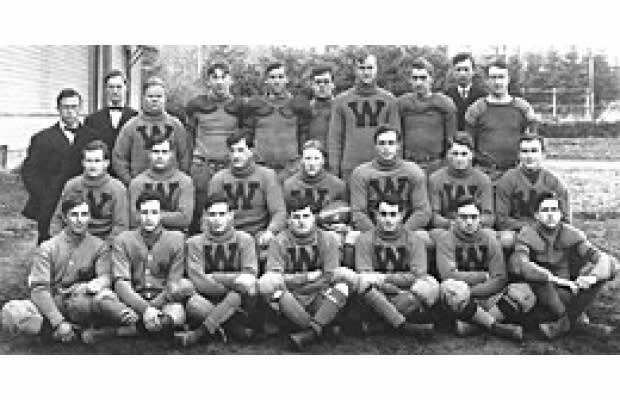 In the 1910s, Washington had perhaps the most dominant decade of any team in college football history. From 1907-1917, the Huskies won 63 consecutive games with their head coach Gil Dobie retiring with an undefeated 58-0-3 record. The '15 squad had an unconscious 39-2 average margin of victory during the season.